Hello dear friends and fans! Thanks to all of you who came to "Help Annette Make a Record; Love & Fire" fundraising concert and all who couldn't come but still chose to donate! I am so very grateful to you all. It was a sold out house and a magical night with John Previti on bass, Steve Bloom on percussion, Brian Evans on guitar, harmonica and vocals and Lynn Hollyfield and Nicole Belanus joined in with gorgeous harmonies as well. Charlie Pilzer of Tonal Park Recording Studio has created Allyworld, an amazing soundstage where no sound is lost. What a gift! Because of you, we soared past my modest fundraising goal by another 50%; so again, thank you, thank you, thank you! I'm so excited about Love & Fire, and I'm hoping you can help make it happen. For the last two years, I've been writing - a lot! Originally, I was going to record just 4 or 5 songs but I keep writing new ones and I don't want to leave them behind. I'm hoping to raise enough money to make a full CD. Costs include studio time, mixing and mastering, musicians, duplication, artwork, promo and distribution. As an Indie DIY artist, I rely almost entirely on you, my friends, fans and patrons for support to continue to create my work. It is the new model and it turns out, because of your generosity, it can really work. So, THANK YOU!! Donations of $25 or more will receive both the digital and signed copy of the CD. Please include your mailing address so that we can mail you a fresh-from-the-oven copy of Love & Fire come springtime. Love you and thanks for listening! 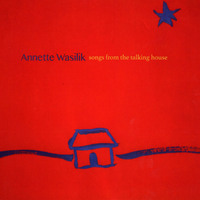 Her debut recording, Songs from the Talking House won Best Contemporary Folk Recording of the Year by The Washington Area Music Association in 2016.